With Summer fast approaching, everyone is asking themselves what the best way to lose weight is so that they can flaunt their beach bodies with confidence and style. And while many people have the luxury of finding the time to go for a long run in the countryside, others find themselves restricted to the types of exercise they can do that fit in with their hectic lifestyles. With so many options to choose from with regards to working out and weight loss, it can be confusing to know which one is going to work best to help you reach your weight loss goals in time. And while HIIT and Crossfit type workouts are appealing to some, they are a living nightmare to others. Our bodies also put limitations on what we can and can’t do with regards to working out and exercise. For example, if you suffer from bad knees or general joint pain, then interval sprints on a treadmill are not going to be a good option for you in the long run. If your fitness levels are not great as a result of being overweight, or not having exercised in a while, then a high-intensity cardio workout like Tabata is going to be a huge shock to your system and you will likely lose motivation when you realize that your body just isn’t able to push itself that hard just yet. Cycling. And I don’t mean spending a few hundred bucks on a mountain bike and riding it around at full speed on the weekend. Instead, invest in a stationary bike that you can keep at home and use while you are watching television in your living room, or as an addition to your home gym. Simply put, yes. A stationary exercise bike can provide you with one of the best low-impact cardio workouts available and you don’t have to worry about getting out of breath when you are still a couple of miles away from home as you would with traditional cycling. The best thing about a stationary bike is that there are now such a huge variety of different products to choose from, you will definitely be able to find one to suit your budget, fitness level, and individual needs. What Type of Exercise Bike Should I Use to Lose W​​​​​eight? There are two main types of stationary exercise bikes that can be used to help you lose weight. The upright exercise bike closely mimics a traditional outdoor bicycle as you sit in an upright position on the seat and peddle, while a recumbent bike has the added luxury of a backrest and a reclined seat to offer more support. Whichever one you choose is a matter of personal choice, but the recumbent back is definitely a better option for people who suffer from back or joint pain and need to feel supported during a workout. Whichever type of stationary exercise bike you choose, rest assured that if used correctly both can be incredibly effective for burning calories by increasing your heart rate, which is a requirement for fat burning and weight loss. As we mentioned earlier, a lack of motivation is the primary factor responsible for people giving up on their workouts or avoiding the gym like the plague—so you need to make sure that you select the type of bike that is going to aid your motivation by making your workouts as comfortable as possible. To help you get started on your fitness journey, here is our pick of the best exercise bikes to lose weight in 2019. 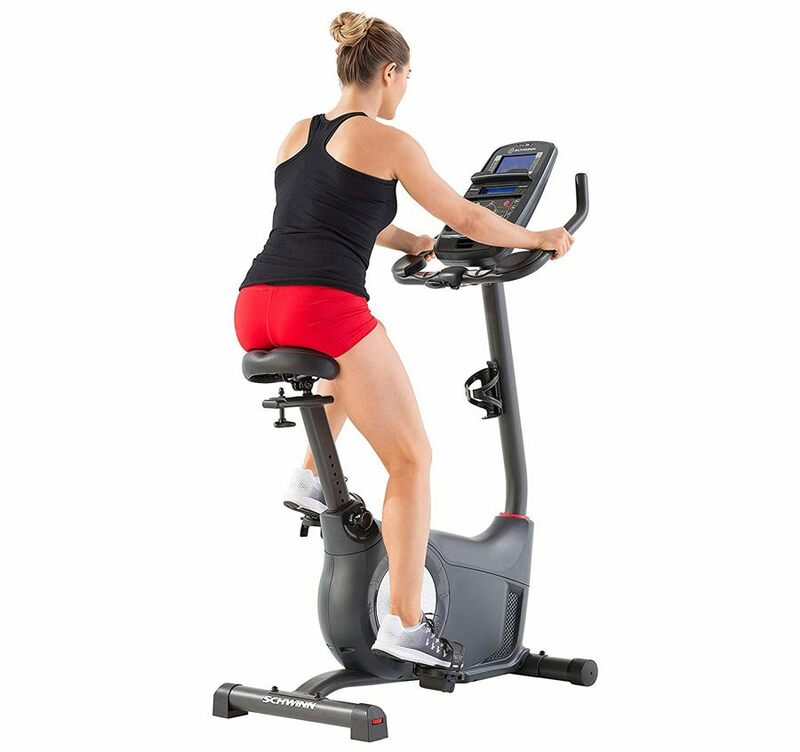 This is a top-of-the-range exercise bike that features a magnetic flywheel tension system that guarantees a smooth ride at any speed. And it is this magnetic resistance that makes this product so appealing to indoor cyclists who want to tone up and lose weight fast, as the majority of stationary bikes do not feature this technology. It is suitable for both commercial and home use and the sleek designed belt drive system ensures minimal maintenance and a vibration free workout. The Keiser M3i is British made and is built to satisfy even the most demanding indoor cyclists and it is fully compatible with a range of heart rate monitors that can be purchased separately. The bike is easy to assemble and will arrive not only a manual but also a video that shows you exactly how to put it together. This is the Cadillac of stationary bikes and you would be hard pushed to find a better alternative for the price. There is a media tray provided, so you can watch TV or read a book while you ride and the bike not only looks sleek, it is also built to the highest standard. There are a few downsides to this bike, but they definitely are not deal breakers for most people. First, there are no pre-set workouts, meaning that if you are a complete beginner or you feel you would benefit from some guidance, it might not be the best option for you. Second, there is currently no option to plug in an iPod or MP3 player or share your statistics with commonly used fitness apps, but you can easily sync your results with the GoInd fitness App meaning you aren’t completely disconnected from reality. For the price, it is an excellent option for more experienced spin bike riders. And even though you can only connect to the GoInd app, this is still better than most of Keiser’s competitors that do not allow you to sync information with any app at all. It is stable and durable and you can also easily move it from place to place, thanks to the lightweight frame and transport wheels provided. You can customize the bike with weights, but the tools and instructions to do this are not included in the package. Furthermore, if you choose to make your own adjustments to the bike, your warranty would not be valid. If you are not overly bothered about being able to connect to an app and you just want a good, straightforward workout, then the Keiser M3i is an excellent choice to go with. Another epic creation from the Godfather of indoor bikes, the Airdyne AD6 from Schwinn will not disappoint. First, it couldn’t be easier to assemble—taking less than one hour if you follow the instructions provided. This is a huge bonus for anyone who isn’t particularly handy. The large fan at the heart of the design creates enough resistance to give you an intensive workout, without the risk of injuring joints or riding too fast. Simplicity is what makes the design of the Airdyne so appealing—less technology means less maintenance and fewer things going wrong.  It is also appropriate for complete beginners, as well as pro-riders. The AD6 Airdyne is built to last and the harder you peddle, the more resistance you will encounter. This is an awesome feature, as you will be less likely to hit a plateau as you get fitter and you will continue toning muscles and burning fat regardless of how skilled you become. There are three standout features that appeal to us most about this bike. The fact that you can assemble it without any help in less than an hour and easily wheel it to your preferred location, the simplistic design that allows the resistance to automatically adjust to your fitness level and speed and finally, just how comfortable it is. Schwinn clearly designed the bike with the user in mind from start to finish and they are so convinced of its quality and durability that they are prepared to put their money where their mouth is and offer customers generous guarantees that will protect them against anything going wrong. 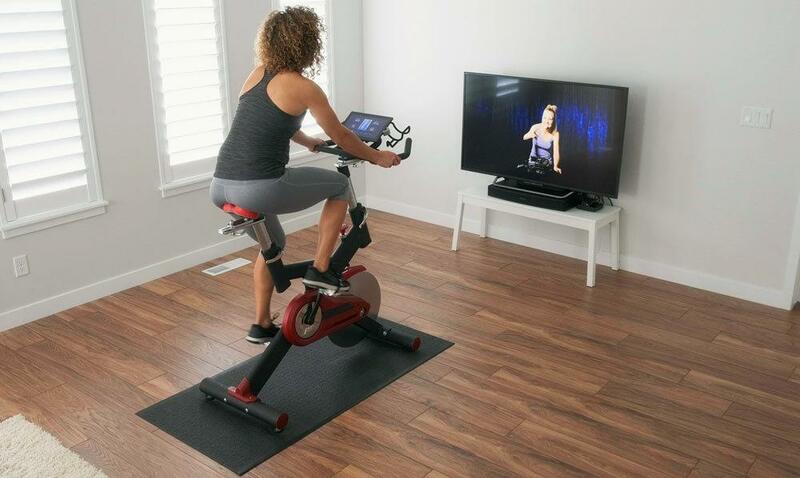 With hundreds of satisfied customers, this exercise bike would make the perfect addition to any home gym. As the saying goes, the devil is in the detail and there are a couple of little extras that do not come included in the package. If you want to monitor your precise heart rate, then you are going to have to buy a chest strap separately and you also have to remember to buy the batteries to power the display. Some users have reported that this model is not especially great if you are very tall, as the fan doesn’t hit you in that sweet spot, but this can easily be overcome by positioning a free-standing fan in front of you during workouts. Any product that you buy from Schwinn is going to offer you excellent value for money, as the quality of their machines is second to none. It falls into the mid-range price bracket, making it the perfect choice for anyone who wants to invest in a long-term cardio solution to add to their home gym. This bike just screams minimal hassle, which is hugely appealing to pretty much everyone on the planet and its sleek design means it will look good in any environment. If you enjoy high-intensity workouts, then this bike could be the one for you. 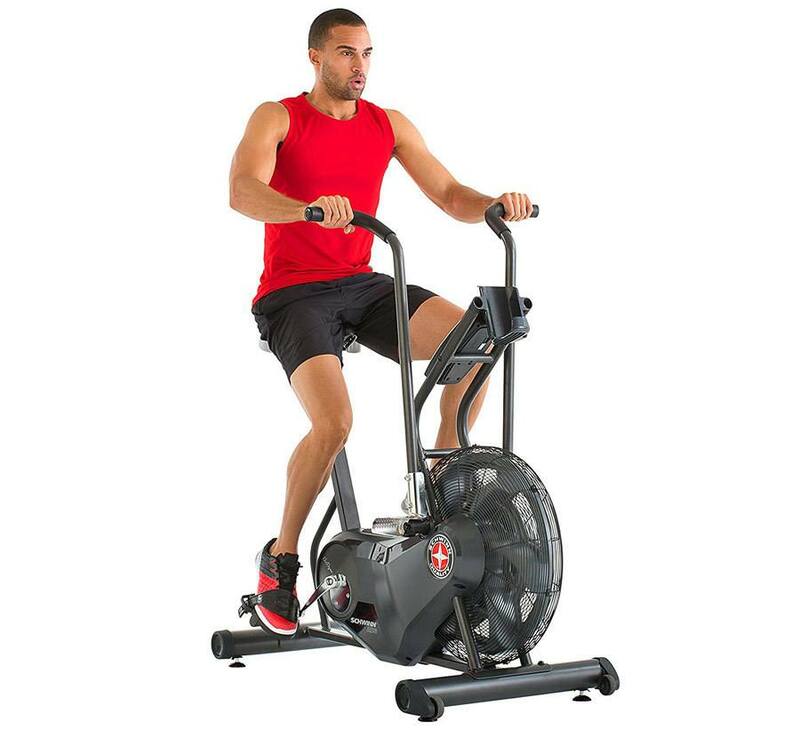 This spin bike is one of the best around and it has consistently received excellent reviews from customers around the world. There are several features that set it aside from similar models and it offers excellent value for the price you pay. The smooth belt drive system will offer you a quiet cycling experience and prevent you from injuring your knees and joints regardless of how fast you peddle. Can take the weight of up to 275 lbs. Hands down, the belt-drive technology is what gives this product the advantage. If you are doing a high-intensity workout, then the last thing you want is a bike that vibrates and jerky peddling movements. You can opt to do both sitting and standing workouts on this bike, as its stability is far superior to other bikes of its kind. For the price, it really is an absolute bargain and there is currently free shipping available when you purchase this product on Amazon. Adjustable resistance allows you to be in complete control of the intensity of your workout. There are a couple of drawbacks that come to mind when looking at this model. The main one being the lack of an onboard computer and display screen, meaning you aren’t actually able to keep track of distance, time, or calories burnt unless you separately purchase a heart rate monitor that you can connect to an app. That said, many avid spin fans know that the best way to tell if your workout is effective, is whether or not your legs will manage to hold you up when dismounting the machine. Another thing to point out is the fact that although the handlebars are adjustable, you can only move them up and down—not forward or backward—which could make it slightly inconvenient for people who are especially tall or short. There is also no water bottle holder or built-in cooling system, so you will need to factor in how important that is to you before deciding to purchase this machine. Overall, this is an excellent product that offers way more bang for your buck than other bikes we have seen on the market. 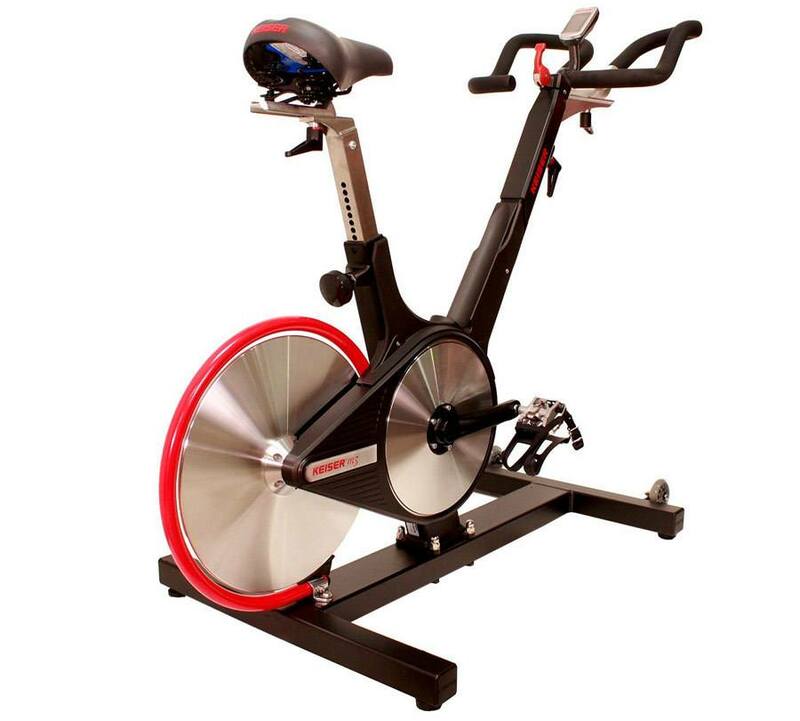 If you are looking for a spin bike that is robust and sturdy at an affordable price, then you should seriously consider purchasing this model. It is better suited to those who have some skill, as the lack of inbuilt workouts means you will have little guidance with regards to how high to set the resistance. The lack of a media tray also means that it is definitely more appropriate to those who want to work up a sweat without any distractions. Ramp up your workouts with this stunning piece of equipment and watch the fat melt away all from the comfort of your home. This spin bike will provide you with a smooth ride and is equipped with the necessary technology for a challenging and effective workout. 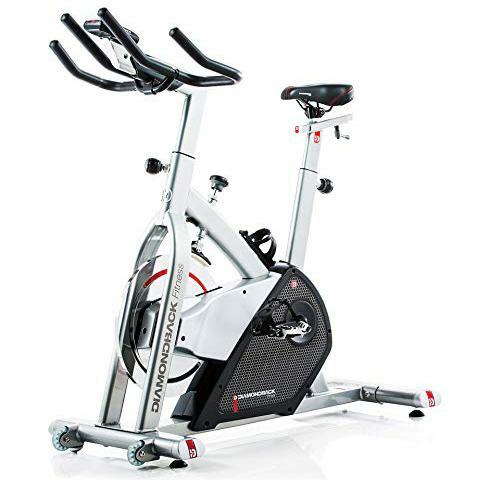 The DiamondBack 510Ic is an ideal solution for people who want to get the most out of indoor cycling workouts, without having to fiddle around with an array of knobs and screws to get the resistance and settings right. Its robust frame will make you feel safe even when cycling at high speeds in a standing position and the onboard computer makes setting your rides up a breeze. Especially light at just 126 lbs. The onboard computer offers one of the best monitors compared to other indoor cycles and workout statistics are displayed on a bright LCD screen for easy readability. The accurate heart rate monitors located on the handlebars allow you to know exactly how many calories you have burnt and you can choose from 14 pre-programmed workouts to cater for all fitness levels. The weight of the bike means it is heavy enough to be sturdy and robust, but light enough to move around when you need to store it or change its position. There really aren’t any notable downsides with this bike, as it has been designed to offer riders of all abilities a comfortable workout that will allow them to build on their fitness and reach their weight loss goals. Some users have reported that it is slightly too heavy for them to assemble single-handedly. On the flip side, this only affirms that it will be durable and long lasting. You will be hard pushed to find an indoor bike that will offer you as many features as this one does for the price. While it isn’t the cheapest bike we have come across during our research, it is definitely a worthwhile investment if you want to make sure that you are getting a quality product that is easy to use, regardless of how skilled a rider you are. This model from Diamondback offers a smooth chain-driven system, meaning it simulates outdoor cycling from the comfort of your home gym, so you won’t have to worry about the ride feeling too easy! This upright bike comes fully equipped with all the bells and whistles that you could ever need to partake in a successful workout at home. The onboard computer technology means that you can pretty much automate everything and you can choose from a variety of pre-programmed workouts that will smoothly guide you toward reaching your weight loss and fitness goals. The Schwinn 170 is possibly one of the best exercise bikes that you can buy and we are super impressed at just how many options it offers. It is a perfect solution for weight loss, as the fitness test programs will allow you to gauge how much you have improved and what you should be aiming for. For the price, it is an absolute bargain and it is built to withstand even the most intense peddling speeds. The computer console is one of the best we have seen and you can program and adjust pretty much everything you can think of to create perfect conditions for your workout. Honestly, we really don’t have any complaints about this exercise bike. It does everything that it says on the box and more and you can even take advantage of free shipping when purchasing from a reputable online outlet like Amazon. This bike is an excellent choice for expert cyclists and beginners alike. When you take an in-depth look at the number of features it offers, it becomes apparent that it is an absolute steal for the price. As with all of their products, the warranty on this bike is really good and cyclists of all abilities can enjoy tailor-made workouts to meet their specific needs. A good cardio workout is key to achieving the body you want, as well as maintaining overall fitness and health. All of the models mentioned above will provide you with an excellent opportunity to lose weight and tone up. The only thing you need to do is decide which type of bike will work best for the kind of workouts you enjoy. In our opinion, the winner has got to be the Schwinn 170 due to the fact that it is packed full of awesome features for an affordable price.